The end of summer is delivering some interesting and wild jewelry news. We enjoyed learning about the “jewelry experiences” in the Robb Report story by Victoria Golmelsky. Over at Vogue, political reporter and jewelry aficionado Lynn Yaeger got the scoop on Jill Wine-Banks’ collection of political pins. British Vogue uncovered, “The Secret Behind Denmark’s Booming Jewelry Scene.” The New York Times revealed the mystery of flaws in some garnets might in fact be bugs burrowing around in the rocks. And speaking of insects, the video of the ant who tried to steal a diamond off a dealer’s desk went viral and was covered just about everywhere—internationally. 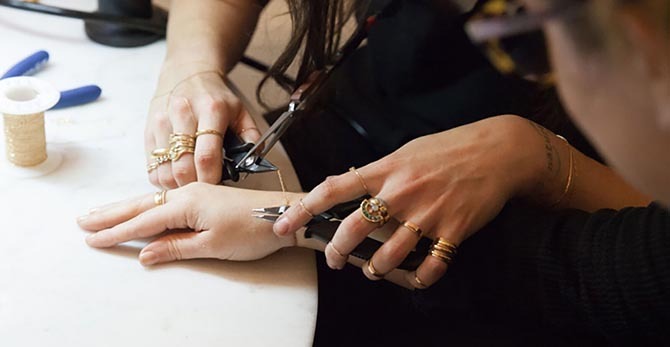 From Robb Report—From bracelet bonding rituals to crash courses and workshop visits, the breadth of experiences available to jewelry lovers this fall reflects a growing interest in acquiring memories that enhance the jewels. 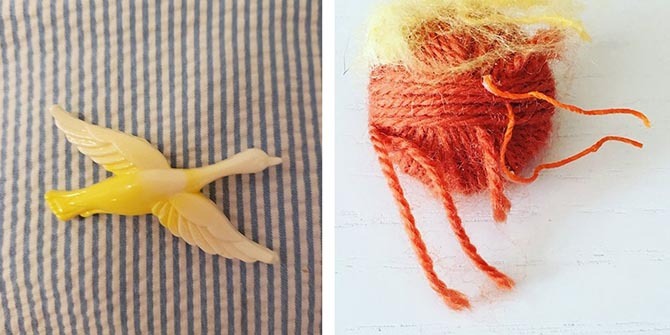 From Vogue—There are lots of ways to get your political message across: hanging a rainbow flag out your window, donning a Dump Trump T-shirt every afternoon between now and the midterm elections, or—if you are former Watergate prosecutor, legal analyst, and MSNBC contributor Jill Wine-Banks—wearing a different brooch each time you are on TV, a pin that expresses, in witty, sometimes subtle ways, your commitment to a progressive agenda. From British Vogue—As Copenhagen Fashion Week fast approaches, Vogue speaks to the founders of The Jewellery Room, the city’s jewellery talent touts, to find out how the scene has changed and what’s coming next. 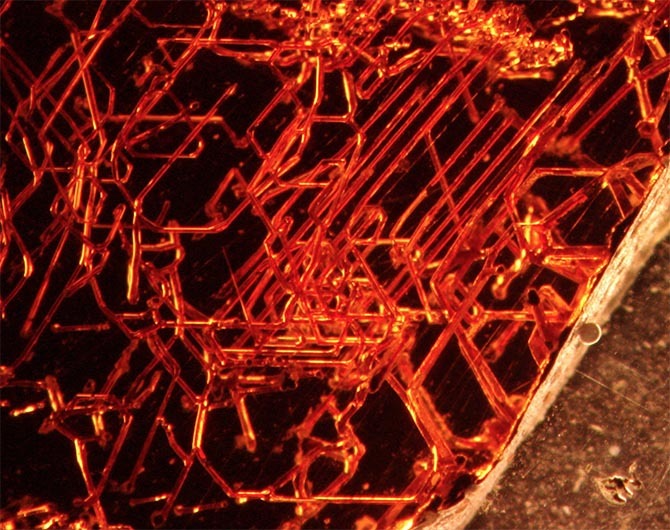 The deep red gems have long been found marred with internal markings. Researchers propose a new explanation involving fungal microorganisms who have found a nice place to live. 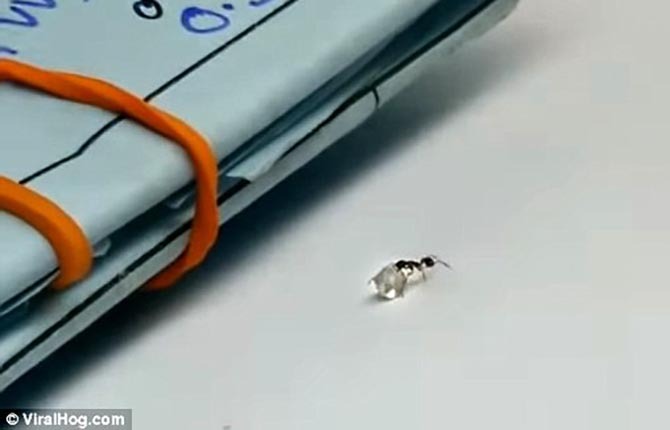 From Daily Mail—A viral video posted on YouTube shows an ant lifting a diamond and walking off with it inside a jewelry shop.The tiny insect is seen dragging the diamond even though the rock looks to be a larger mass than the ant itself.